Japan has announced its first annual trade deficit for more than 30 years after the March earthquake and tsunami, and a strong yen, hit exports in 2011, while high fuel costs pushed up import bills. The first calendar-year deficit in goods since 1980 came to 2.49 trillion yen ($32 billion), the finance ministry said. Imports were up 12% by value on 2010, particularly crude oil and liquefied natural gas (LNG), while exports fell 2.7%, led by cars, semiconductors and other components. After rising from the ashes of World War II Japan established itself as a trading nation, enjoying enormous surpluses with its competitive cars, electronics and other exports. But the resource-poor nation's energy imports have soared in the wake of the Fukushima nuclear crisis with atomic power stations being taken offline and fossil fuel plants used to make up the difference. The earthquake and tsunami that triggered the disaster also disrupted manufacturing supply chains across Japan, while the euro zone debt crisis slowed the global economy and sent traders scurrying to the safety of the yen, driving up its value and reducing Japanese exporters' income. In total, the cost of crude oil imports jumped 21.3%, LNG was up 37.5% and petroleum products rose 39.5%, while automobile exports fell 10.6%, with electronic parts down 14.2%. The trade deficit with China, Japan's biggest trading partner, was more than five times that of 2010. The country recorded a trade surplus with the EU, but it was down 31.3% on 2010. Japan posted a deficit of 10.8 trillion yen with the Middle East, which provides almost all its oil, and a deficit of 3.1 trillion yen with Oceania, the source of large quantities of raw materials, especially Australia. Japan's last calendar-year trade deficit came in 1980, when the nation was reeling from the second oil crisis and imports exceeded exports by 2.6 trillion yen - still a record. 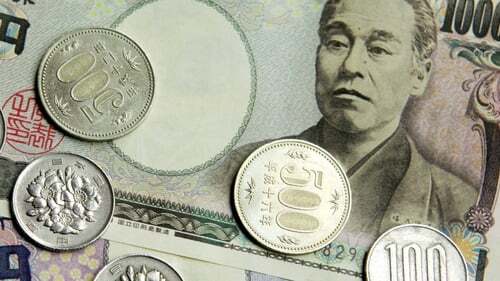 The strong yen, which hit repeated post-World War II highs against the dollar in 2011 and remains close to its peak, contributes to lowering import costs but its negative effect on exports is larger.